On arrival at Bangalore you are met and transfer to hotel. Later proceed for sightseeing of Bangalore city visiting Vidhan Sabha, Lallbagh (Botanical Garden). Bull Temple – One of the oldest temples in 16th Century. Hyder Ali laid out this famous botanical garden and his son added horticultural wealth to them by importing trees and plants from several countries. The garden today houses over 1000 species of flora which include rare and enchanting collection of tropical plants, trees and herbs. The Glass House, modeled along London's Crystal Palace, is the center of attraction in this 2400-acre park. Bi-annual flower shows attracting participants from all over India is held in the Glass House. 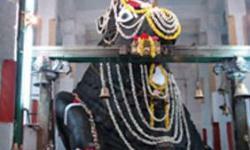 This temple, built by Kempe Gowda, houses the magnificent stone statue of the sacred bull, Nandi. It stands over 15 feet tall and is over 20 feet long. In Nov/Dec every year, when the groundnuts have been harvested, a groundnut fair is held near the temple. The first groundnuts are offered by the farmers to the sacred bull. Vidhana Soudha: This splendid neo-Dravidian granite building that dominates the northern boundary of the Cubbon Park is the home of the State Legislature and the Secretariat. The massive sandalwood door of the Cabinet room is a spectacular feature of this imposing building. 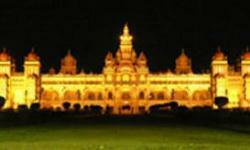 The Vidhana Soudha is bedecked in illuminated glory during special periods and is a sight worth viewing. After breakfast at hotel drive to Kiskindha and check in the hotel. Later proceed for sightseeing for Kishkindha. The epical history of Hampi begins and ends with the Ramayana in Threta Yuga. There are a lot of materialistic proofs in Hampi to show that it might have been the capital of the mighty monkey kingdom - Kishkindha. The whole of Kishkindha Kanda episode of Valmiki Ramayana is built in and around Hampi. This is the very place where Hanuman was born; this is the very place where he met Lord Rama; this is the very place where Vali fought his brother Sugriva. This temple for Lord Rama is popularly called "Hazari Rama Temple" or "Hazara Rama Temple" because of the large number of Ramayana panels on the walls. This temple is believed to have been the private place of worship of the Royal family. After breakfast at hotel drive to Puttaparthy and check in the hotel. 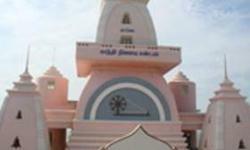 Later visit Prasanthi nilayam - Abode of highest Pease, the main ashram of Sri Sathya Sai Baba, is in the southwestern corner of Andhra Pradesh at Puttaparthy. After breakfast at hotel drive to Mysore and check in the hotel. Rest of the day free for own activities. After breakfast at hotel proceed for sightseeing for Mysore. The Maharaja's Palace is one of the important sights in Mysore. Built in Indo-Saracenic style with domes, turrets, arches and colonnades, the Palace is a treasure house of exquisite carvings and works of art from all over the world. Intricately carved doors open on to luxuriously furnished rooms. The majestic Durbar Hall has an ornate ceiling and many sculpted pillars. The magnificent jewel studded golden throne of the Wodeyars is displayed here during the Dasera festival. Illuminated on Sundays and public holidays,the palace presents a spectacle of breathtaking beauty. After breakfast at hotel proceed for city tour of Chennai which includes visits of fort St. George, Marina Beach, San Thomas Cathedral. Fort ST. George: was built in 1640 AD, by the British East India Company under the direct supervision of Francis Day and Andrew Cogon. This place achieved its name from Saint George, the patron saint of England. The fort houses Saint Mary's Church and fort museum. Saint Mary's Church the oldest Anglican Church built in 1680 and the tombstones in its courtyard are the oldest British tombstones in India. Marina Beach: it’s the second longest beach in the world with a stretch of 4.5 kms (2.5 miles). This stretch is filled with statues of remembrance from our Tamil culture to our great leaders. A walk along the Marina in the evening creates elated feelings. The old buildings on side of Kamarajar Salai, a main road along the Marina, would remind you of the good old British days. People from all over the city gather here in the evenings to cool off and eat crispy "sundal and murukku"! 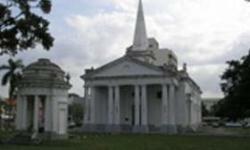 San Thome Basilica: at the south end of Marina Beach was named after Saint Thomas "doubting apostle of Jesus Christ". It is believed he has come to Madras in 52 AD and kill at St. Thomas Mount just outside the city in 78 AD. Built in 16th Century by the Portuguese, in 1896 it was made a basilica. The beautiful stained glass window at the basilica portrays the story of St Thomas and the central hall has 14 wooden plaques depicting scenes from the last days of Christ.. In the cathedral is a 3ft. high statue of Virgin Mary which is believed to have been brought from Portugal in 1543. On arrival at Madurai you are met and transfer to hotel. Afternoon excursion to Rameshwaram. After breakfast at hotel proceed for sightseeing of Madurai. This temple is the city's main attraction. This temple is nearly 2000 years old placed in the heart of the old town - a splendid example of Dravidian architecture. The present temple was designed in 1560 by Vishwanatha Nayak and subsequently built during the reign of Tirumalai Nayak. There are four entrances to the temple with an area of six hectares. Each of its 12 towers has the height of 45 to 50 meters. The Potrama Raikulam or the Golden Lotus Tank is the place where the Tamil literacy society, called Sangam used to meet to decide the merits of the work presented to them. The temple museum has 985 richly carved pillars and each one surpasses the other in beauty. The 300-year-old palace now converted into Museum has a picture gallery, a library of personal memorable of the Mahatma Gandhi and an exhibit of South Indian handicrafts and village industries. After breakfast at hotel drive to Kovlam and check in the hotel. Rest of the day free for own activities. After breakfast at hotel sightseeing of Kovalam. The Kovalam Beach: Picturesque beaches, coconut fringes, the anglers' community, all sorts of fruits, palm beer, a large multitude of tourists swarming the sandy seashore, the lighthouse-all these are epithets that signify Kovalam, the exotic beach situated in the southern state of Kerala, popularly known as God's own country. After breakfast at hotel day free to enjoy on beaches. Evening free for own activities. After breakfast at hotel drive to Kanyakumari and check in the hotel. Kanyakumari, named after the Goddess Kannyakumari Amman who is the popular deity of the area. Legend has it that the Goddess Parvati in one of her incarnations as Devi Kanniya did penance on one of the rocks of this land's end to obtain the hand of Lord Shiva. 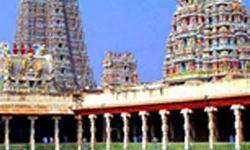 Kannyakumari is the one of the sacred place for Hindu religion. This is the place where three oceans joined together. Bay of Bengal, Indian Ocean and Arabian Sea. Later visit to Vivekananda Memorial. Kanyakumari is the southern most tip of India. It is the place of union for the three oceans - The Arabian Sea, Bay of Bengal and the Indian Ocean meet here. Kanyakumari is the point where the Arabian Sea, the Bay of Bengal and the Indian Ocean merge. It is a breathtaking sight. You can actually make out the three different colors of the waters, and watching them merge into one another at dusk is an unforgettable experience. Kanyakumari is an important pilgrimage center, attracting several thousand pilgrims to its surroundings. Sunrise and sunset are spectacular, especially on full moon days. The beach is a beautiful sight with multi-coloured sand, but it does not really offer one the opportunity to sunbathe on soft golden sands, or to frolic in the waves either. Its beauty and charm offers a welcome change to the tourists and pilgrims. A variety of shells are on sale on Kanyakumari beach. After breakfast at hotel sightseeing of Kanyakumari. This memorial to Swami Vivekananda was built in 1970. Vivekananda was a social reformer and saint of modern India. He is supposed to have meditated on the rock where the memorial stands. Ferry service is available to reach the rock memorial. Sangam is the meeting point of the three major bodies of water, the Bay of Bengal, the Arabian Sea and the Indian Ocean. It is a bathing ghat, with steps leading into the water and a sort of lagoon formed between lands by a series of rocks. People bathe and jump around, getting lightly battered by the remains of waves, which are washing over the rocks. 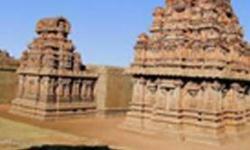 13 kms from Kanyakumari, the place is home to the Thanumalayan temple. A storehouse of art treasures, belonging to different period and kingdoms. 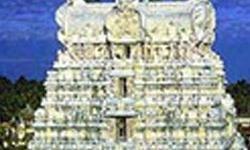 The presiding deity of the temple is Shiva Lingam. The temple is also famous for a huge statue of the monkey god Hanuman and its musical pillars. Situated 34km from Kanyakumari, the fort was built by King Marthanda Varma (1729-1758AD). The tomb of king's trusted European general De Lennoy' is located within this fort. It is the magnificent wooden palace of the Travancore Maharajas. After breakfast drive to Cochin and check in the hotel. Our representative would assist you at the airport & transfer to hotel for check in. Cochin always had a very popular & historical sea trade connection with Middle East, Mediterranean Europe & Dutch. 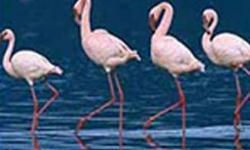 It has one of the finest natural harbors on the Arabian coastline. Its cosmopolitan character is reflected in the buildings & structures representing different regions of the world. Half Day Tour - Later we visit Jew Town, synagogue, built in the year 1568, is magnificently decorated by Chinese tiles & Belgian chandeliers. Giant scrolls of the Old Testament can be found here. Also visit the spice market, where the air is filled with the pungent smell of spices & history that brought the world to its doorstep. Chinese fishing nets, (Cheenavala) are distinctly unique to Cochin. It is believed that traders from the court of the Chinese ruler Kublai Khan introduced these nets here. Evening see Kerala's most popular classical dance, Kathakali.